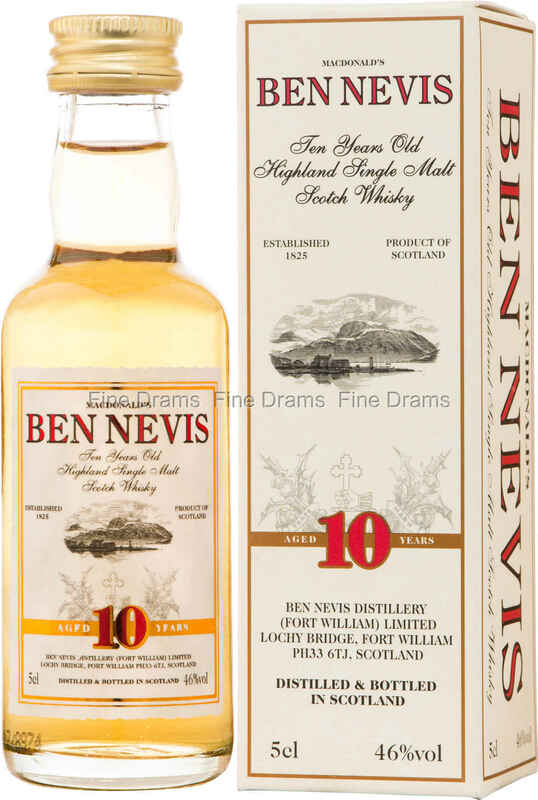 A miniature of Ben Nevis 10, a good old-fashioned Highlander. This distillery continues to use brewer’s yeast and wooden washbacks, a traditional fermentation method rarely seen these days, which helps to create the old-world feel of this dram. Drinkers can expect a chewy body, with a rich tropical fruit flavours, some raisins, woodspice and coffee. A fantastic whisky that is something of a cult malt, this miniature is a wonderful chance to try without committing to the cost of a full bottle.